Plantar fasciitis is the most common cause of heel pain. The plantar fascia is the flat band of tissue (ligament) that connects your heel bone to your toes. It supports the arch of your foot. If you strain your plantar fascia, it gets weak, swollen, and irritated (inflamed) and causes your heel or the bottom of your foot to hurt when you stand or walk. Repeated strain can cause tiny tears in the ligament. These tears can lead to increased pain and swelling. Tendonitis is inflammation or irritation of a tendon that attaches bone to muscle. Tendonitis is most often caused by repetitive, minor impact on the affected area, overexertion, or from a sudden more serious injury. In some cases, tendonitis is caused by stresses from other conditions, such as rheumatoid arthritis, gout, psoriatic arthritis, thyroid disorders, or unusual medication reactions. We routinely treat chronic tendonitis using TENEX and TOPAZ minimally invasive treatment techniques. Stress fractures are some of the most common sports injuries. They are tiny fissures or breaks in the bone, usually caused by repetitive stress from activities like running. Although they can be quite painful, they usually heal themselves if rested for a few months. 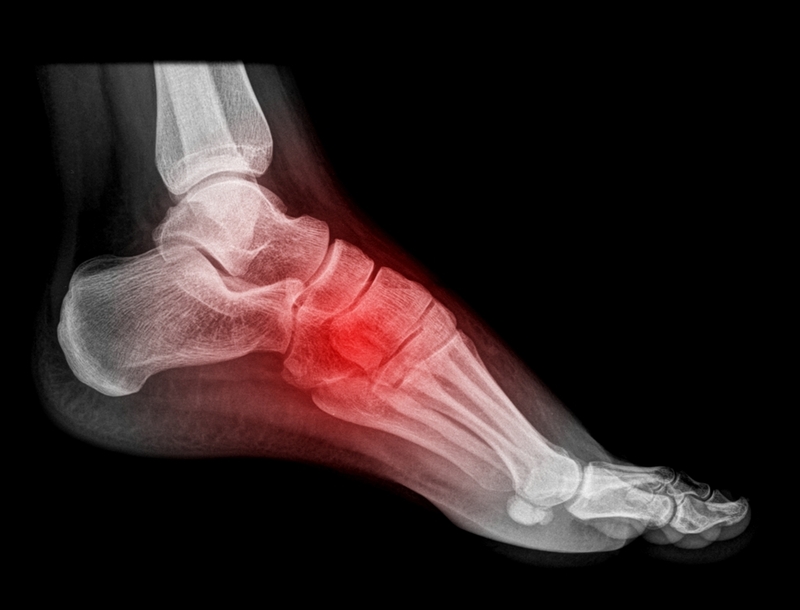 Highly experienced in treating athletes of all competencies, Savannah Orthopaedic Foot & Ankle offers a number of surgical and non-operative treatments for stress fractures. Call (912) 352-3338 for urgent foot care during non-office hours.